Did you read my post? I looked there and they only had Blu-ray broadcast recordings. Where can I get HDTV broadcasts of the DVD versions of Episodes 1-6, besides Myspleen? I looked on Usenet and all they have are broadcasts of the Blu-ray versions. No other flaws that I noticed, but Dooku’s lightsaber really needs work. The purple lightsaber doesn’t look very good. You can still see the red in many shots. Being on OT.com for three months has really changed my perspective on the movies, so I wanted to do an update to compare my views before and after discovering this website. There’s a bunch of stuff that means it’s probably legit, but there’s also some weird resolution issues that make it seem like a temporary layout or something. Either that or someone took a bunch of marketing images form elsewhere and slapped it together. 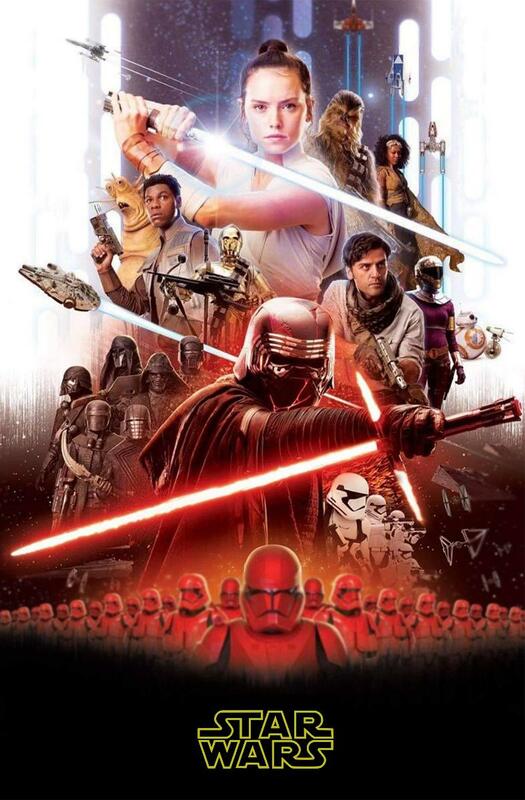 The version I posted was recreated by blending higher-quality partial images of the poster with the blurry full poster. That’s where the resolution issues come from. I just realized that Threepio also has Rey’s staff. How a droid with no arm mobility could use it is beyond me. I can’t express in words how much I love this edit now. Star Wars HDTV and SDTV broadcasts - Where could I find them? I’ve heard about people on this site recording TV broadcasts of the Star Wars movies, but I don’t know where to find any. I especially want to see SDTV broadcasts of the 97SE and the TPM theatrical version. Any pointers as to where I could find them? Sorry to be pedantic, but the ROTS blockade runner was a different ship. Do you understand metaphor? He meant that controlling big corporations is more important to him than preserving the OOT. That’s it. You misinterpreted something he said about how he hates mega-capitalism. The preservation of the OOT had nothing to do with it. Duracell is not George Lucas (at least not that I know of). Can you both please stop.